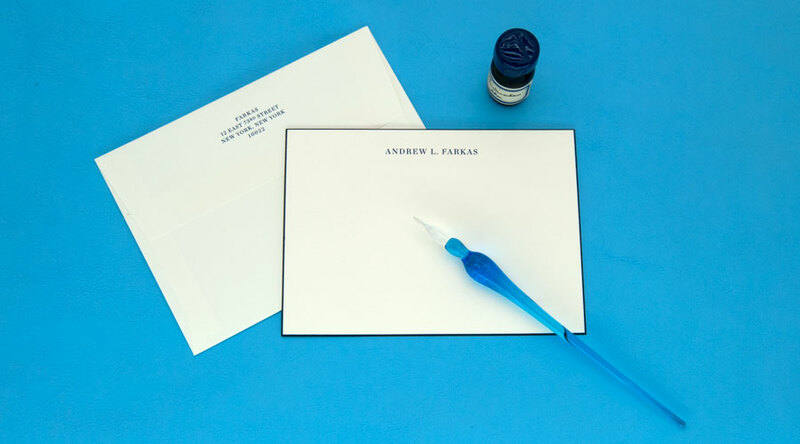 Why should I have Custom Note Cards? 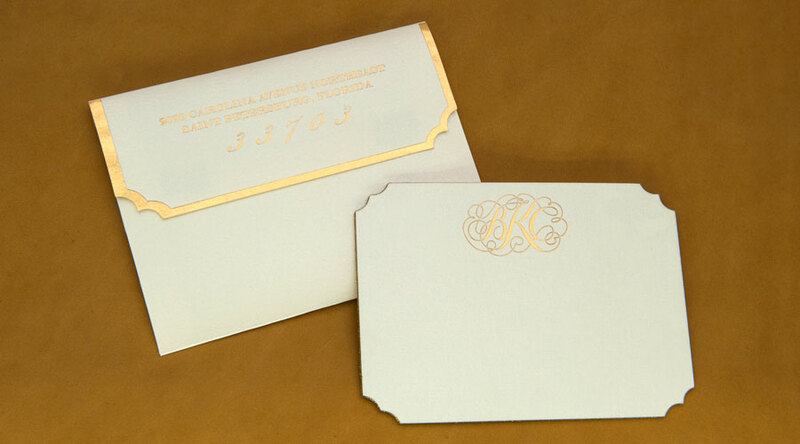 When someone receives a handwritten letter or note, they are excited to open it. 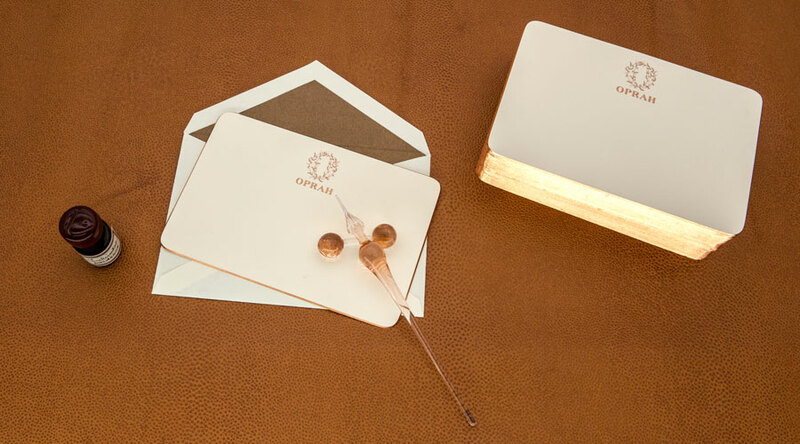 The art of the postage stamp, the feel of the paper, the intricacies in style of a friend’s handwriting: There is simply nothing as personal as a handwritten note. In a stack of bills and flyers, it’s a treasure in a sealed packet, full of promise and potential. It is a visceral reminder of someone far away. Good manners are about more than fulfilling bare-minimum social obligations. They are an opportunity for us to connect to the people in our lives in a meaningful way. In an increasingly informal digital world, continuing to pull out pen and paper is a way to distinguish yourself. 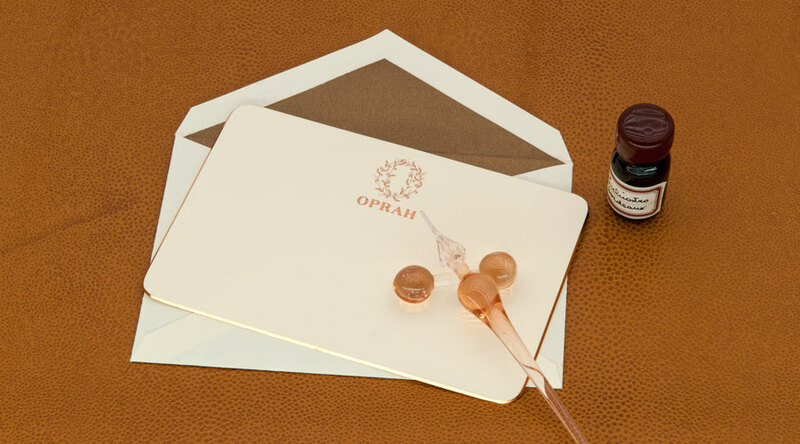 The handwritten thank-you note speaks volumes simply as a medium and sends the message that you care enough to invest yourself personally in acknowledging another. 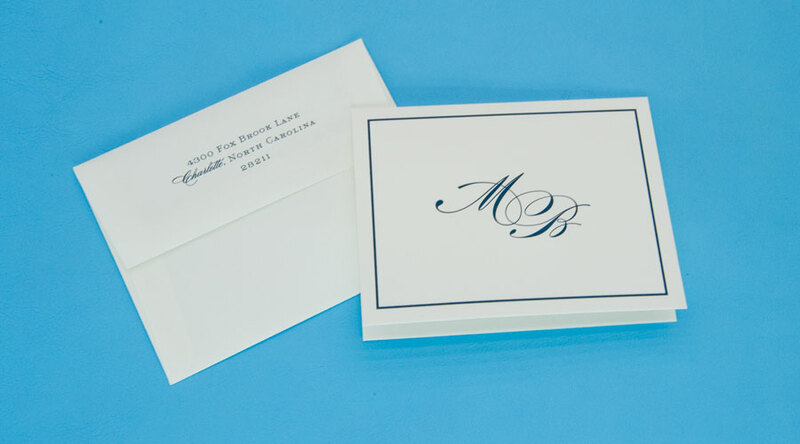 This is why Private Stock takes great pride and places such value on creating personalized note cards either for regular use or as thank you notes. Being part of a society means knowing how to be appropriate to a situation. 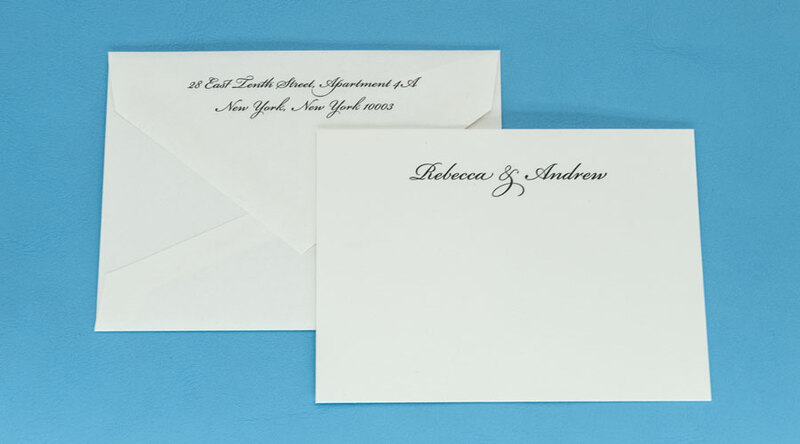 Handwritten notes still have a personality, warmth and, when needed, gravitas that computer screens don’t. And questions of appropriateness aside, people still enjoy opening them. More than anything, that tells me they have lasting value. So, send a little joy someone’s way! 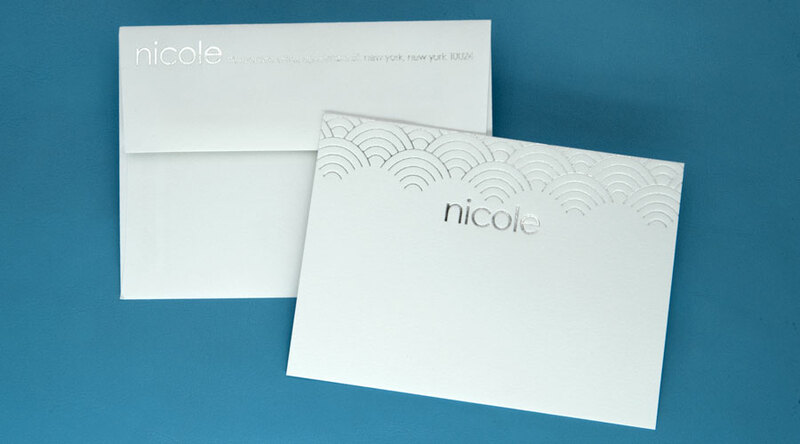 Our custom note cards can be made extra thick and rigid and can be made with any of hundreds of different paper stock options. They can also be printed with digital printing, letterpress, foil stamping, engraving or a combination of multiple print processes for even more impact. 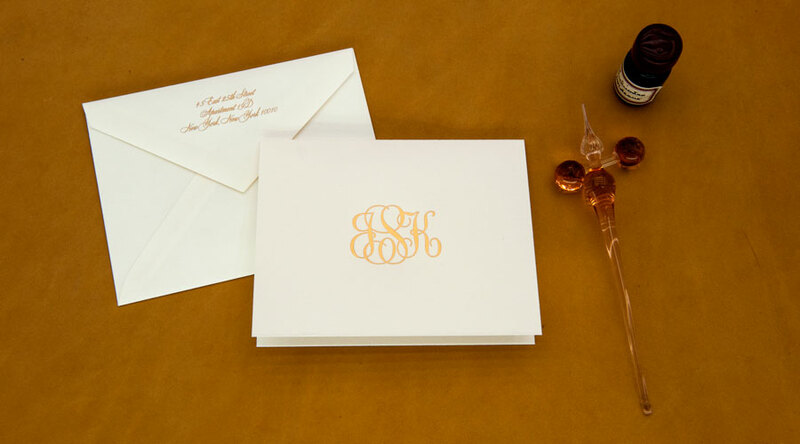 We also offer edge painting, edge gilding, edge beveling, die-cutting and more on our custom note cards, which can really take them over the top. We can guide you through the best techniques to use based on your personal style, your company’s image or any other content you would like to include on your card. Each project above was made 100% custom for our clients, and we can do the same for you. These designs are examples of what we are capable of, and can serve as inspiration for your project. Keep any projects or specific features you like in mind to share with your project manager. Click here to learn how to Get Started or click the button below to contact us directly!